Bring some luxury to your bedroom with the elegant Waffle Stripe Border duvet set. 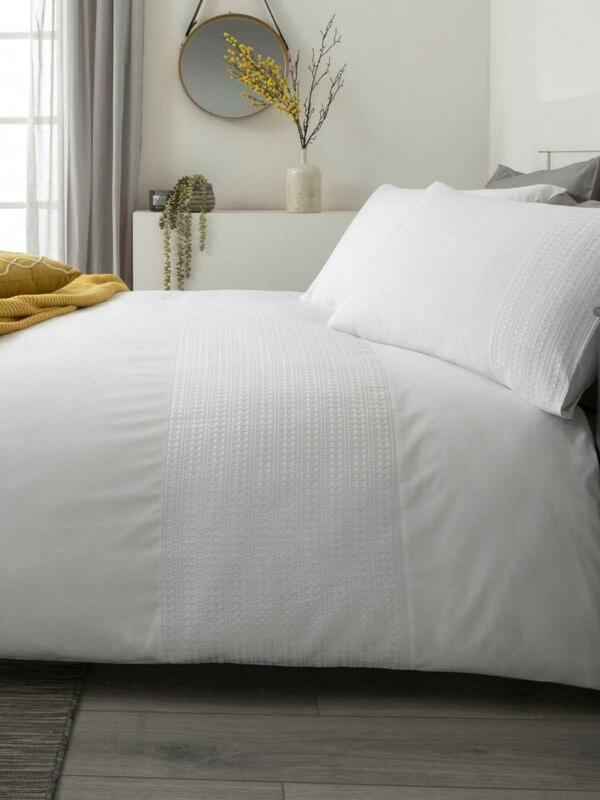 This 180 thread count design features a crisp white ground with a beautiful white waffle panel, which creates a rich and elegant look for your room. Fabric: Face Main & Reverse: 50% Cotton 50% Polyester. Waffle Panel: 100% Polyester.